Addiction to the Internet, especially among youth, is becoming extremely common, leading to a myriad of problems. As children are accessing the Internet earlier, they are growing up quicker than they should, and parents don't know how to discipline since they too are addicted. Addiction to the Internet, especially among youth, is becoming extremely common, leading to a myriad of problems. As children are accessing the Internet earlier, they are growing up quicker than they should, and parents don’t know how to discipline since they too are addicted. Social media, technology, and the Internet are some of the most addicting things we use on a daily basis, especially when it comes to the younger generation. With the constant access to the Internet, on our computer, phone, tablet, and so on, we are always connected to this vast knowledge of information that we lose ourselves in this cyber world and neglect the world we actually reside in. 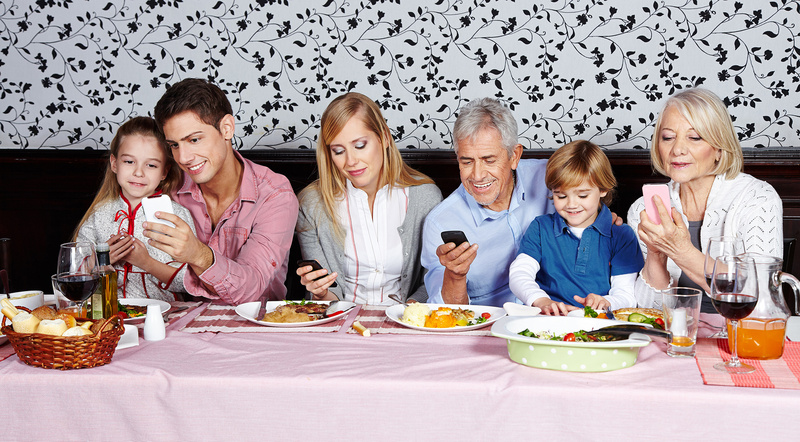 At family gatherings where people use to converse with one another, sharing great times, we now have people glued to their phones, distracted in cyberspace, checking their emails, text messages, social media accounts for new likes, comments, shares, playing games, and so on. We’ve lost ourselves in this cyber world that we can’t seem to control in our daily life. We are even brainwashed into believing lies told to us from corporations and news networks as long as it’s online and we can trust them. The constant need to be on our phones and computers also puts strain on our physical bodies. We extend our neck out and down, causing neck and back pain, making our spine go out of it’s natural alignment. Our eyesight is also diminishing since we are focusing on a screen just a few inches in front of us. Due to the lack of exercise, we also experience tight, achy muscles, weight gain, or even blood clots due to the lack of movement. With the constant exposure to information comes great responsibility, yet many tend to lack this. With children becoming exposed to things they shouldn’t at such a young age, they are “growing up” much quicker than they should. Parents are just as bad since you may see a parent and child side by side on their phone. Children that have been exposed to technology early in life, are always on it, tend to be more unhealthy and have higher chances of depression, anxiety, and feelings of worthlessness. Some parents are so engrossed in it themselves that they don’t even know how to parent their own children or put restrictions on their devices. However, with this negative aspect comes a potential positive one, that children are learning how to use essential tools and skills required to continue expanding the technology that presently exists. But does this benefit outweigh the risks and side effects? This trend cannot be corrected unless we learn to limit our exposure to technology. These days it’s nearly impossible. 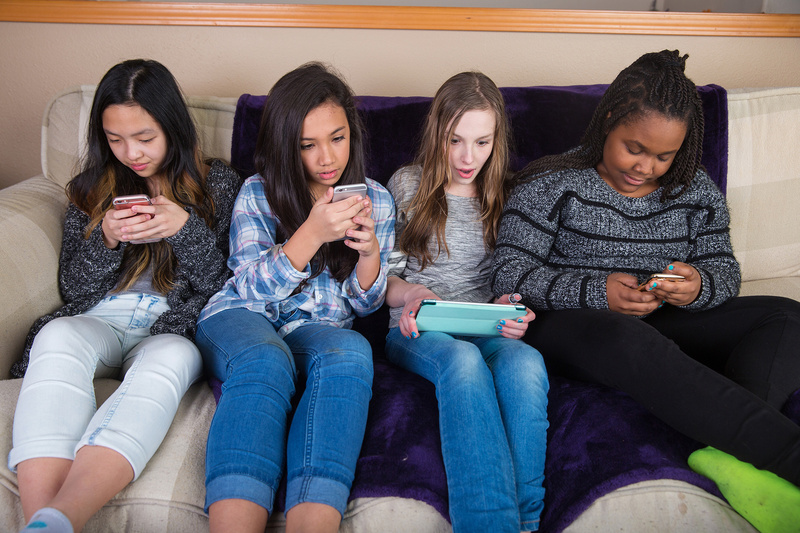 Children should not be permitted to have access to the Internet, a phone, or so on until they are older, definitely not before their teen years and puberty, and teens should be limited. They should be encouraged to play with friends outside, physical activities, MOVE, and eat healthy. And furthermore, it’s parent’s responsibility to demonstrate to their child how they should behave and discipline them accordingly. When parents slack and don’t put restrictions on their child, we end up with out of control kids diagnosed with a myriad of disorders such as oppositional defiant disorder, conduct disorder, ADHD, as well as attention and sleep disorders and learning disabilities, and so on. Building a healthier future starts with us! One of the most annoying things I see these days are people always on their phone. It’s especially bad seeing children on it and people walking down the street on it, not paying attention to what’s going on around them. Not only is it annoying, but it’s incredibly sad to see the number of people always on it. Our lives are run by addiction to technology, and there is no stopping it. Technology makes us extremely sick and unhealthy. With more and more people, especially children, on phones and computers, we are building a future of people with extremely addictive personalities, in addition to the inability to concentrate and focus on one task at a time.